Leagoo's S9 is a blatant copy, but the reasons it exists are fascinating. 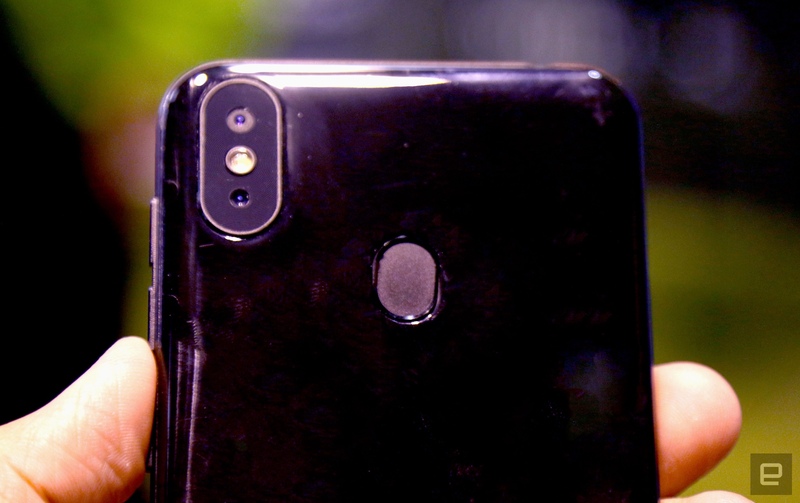 A Chinese company called Leagoo made headlines at MWC for showing off its S9, a cheap Android phone that looks like an iPhone X and swiped Samsung's flagship name. These kinds of clones have been a part of the industry forever, clogging up eBay and disappointing whoever buys them. The S9 is indeed the latest in a long line of clones, but as I discovered, the forces that brought it to market are more interesting than the facsimile itself. After all, it seems odd that a company with the resources to build a portfolio of products and lock down a sponsorship deal with Tottenham Hotspur FC would resort to blatant copying. And these copies aren't much to write home about either. The S9s at Leagoo's booth ran a very buggy version of Android, and the hardware felt chintzy and insubstantial. Those software issues should get worked out before launch, but honestly, this is exactly the kind of cut-rate experience you'd expect from a $150 iPhone clone. That said, the bits of the iPhone X Leagoo attempted to copy at least look correct. The notch is roughly the right size, and the 13+2MP dual camera around back looks more or less spot-on, even if it doesn't take particularly great pictures. The Leagoo S9 I played with seemed far from finished, but even at its best, it seems unlikely to thrill. And the iPhone isn't the only flagship Leagoo has attempted to ape, either. Off to the side of Leagoo's booth at MWC was a plasticky phone with a dual camera and stripes etched horizontally high on its back. That was the company aiming at a domestic rival: Huawei's high-powered Mate 10 Pro. In fairness, Leagoo designs and produces original smartphones as well -- quite a few, in fact. After a conversation with Leagoo Senior Vice President Zhijie Xie, things became more clear. For Leagoo, cranking out the occasional clone phone isn't just a way for the company to capitalize on new trends in the industry. It's about survival. "For right now, the situation for the mobile phone business," Xie said, his voice trailing off a little. "Especially [when you're] like us -- you just have to stay alive." The S9 then is pure marketing given physical form, a device meant to drive buzz in hopes of boosting the business as a whole. If this sounds familiar, well, it should: that's the idea being the new Nokia's string of retro phone releases. "This one just makes some noise," conceded Xie while gesturing to the S9. The weariness in his voice was apparent, and he's earned it. Leagoo is still a small company, with only a few hundred employees and two factories: one in Shenzhen and one in Sichuan province. And given the sort of global competition small companies like Leagoo face, carving out a space in the market is no easy feat. On a large scale, Apple and Samsung tend to dominate both smartphone conversations and market share to the point where even highly capable competitors are struggling to make an impact. "Even for LG and Sony sales are going down every year," Xie said. "We just [have to] stay alive and try to find some core-selling products." Leagoo's search for those core products has been a tricky one so far. 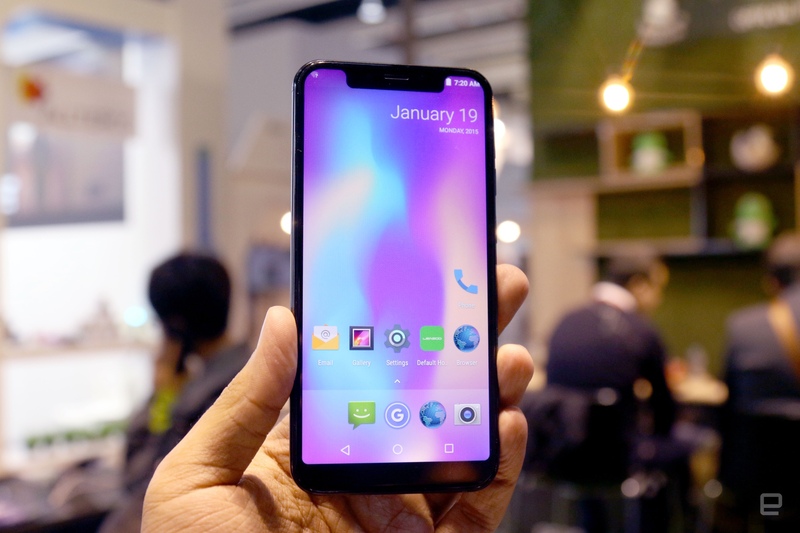 Xie pointed out that the company's M-series smartphones were doing well, but a recent release fizzled out because of performance issues related to its Spreadtrum chipset. These kinds of issues seem even more painful when you consider Leagoo's limited reach. Despite its firmly Chinese origins, Leagoo doesn't sell phones there at all. All of the companies efforts are concentrated in southeast Asia and eastern Europe, partially because standing up to China's internal competition can be nearly impossible for upstarts. "We never did China," Xie added. "The competition is too strong. Huawei, Xiaomi, Meizu, they're all there." And beyond just being there, those companies have much more experience cutting deals with Chinese carriers and retailers, leading to a situation where smaller can be boxed out of their own home. "At the beginning, we created this company and decided to only focus on overseas markets," said Xie. "In China, you sometimes need relationships; we do not have the background, and so we chose fair markets. If you work hard, if your products are good, you can sell." I'll admit to being surprised after playing with a few other Leagoo smartphones at the booth. They were perfectly passable devices. The low price tags involved meant they couldn't stack up to many of the devices I regularly test, but the phones themselves seem sound. When it isn't churning out clones, Leagoo seems to do decent work. Whether that's enough to help Leagoo find its place in the world is a different story. Catch up on the latest news from MWC 2018 right here.